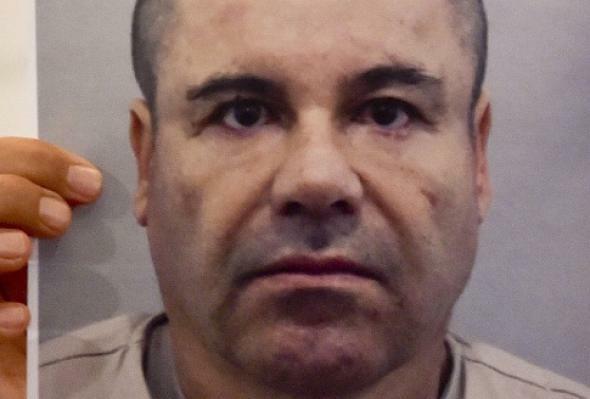 El Chapo captured, Mexican president says. A photo of Joaquín “El Chapo” Guzmán being held up during a press conference in Mexico City on July 13, 2015. 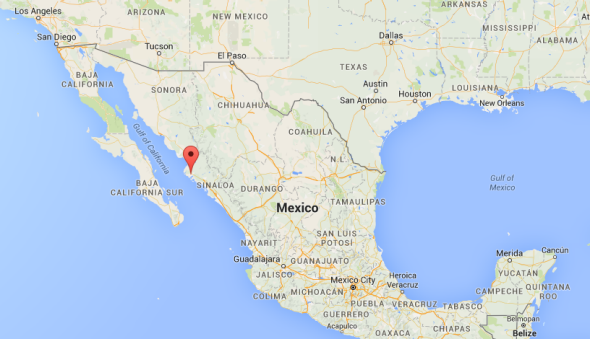 The Mexican Navy said in a statement that marines acting on a tip raided a home in the town of Los Mochis before dawn. They were fired on from inside the structure. Five suspects were killed and six others arrested. Guzman escaped from prison last July via a tunnel; as this New Yorker piece discusses, his Sinoloa cartel has a great deal of experience building tunnels, which they’ve long used to smuggle drugs under the U.S.-Mexico border. The 2015 escape was the second time Guzman had escaped from jail.